Stars shine bright and majestic across the universe. 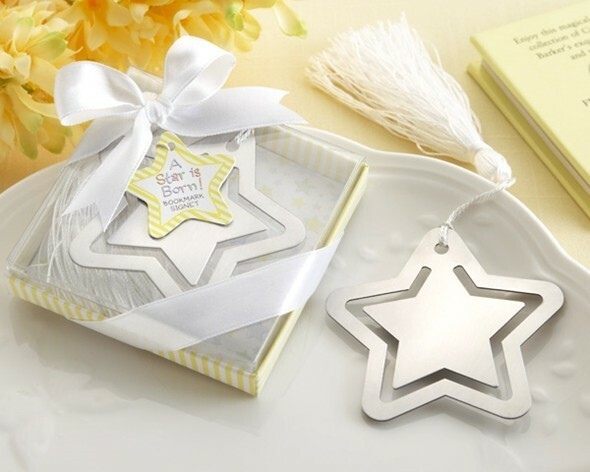 Show your guests that they mean a lot to you with this metal star-shaped bookmark. A lucky start is reflected by this gift along with its white tassel. Personalized tags for these favors are available separately as Product Code: AK-31001NA-03-B.